Well, that is unless they become distracted by another, more lucrative species again. 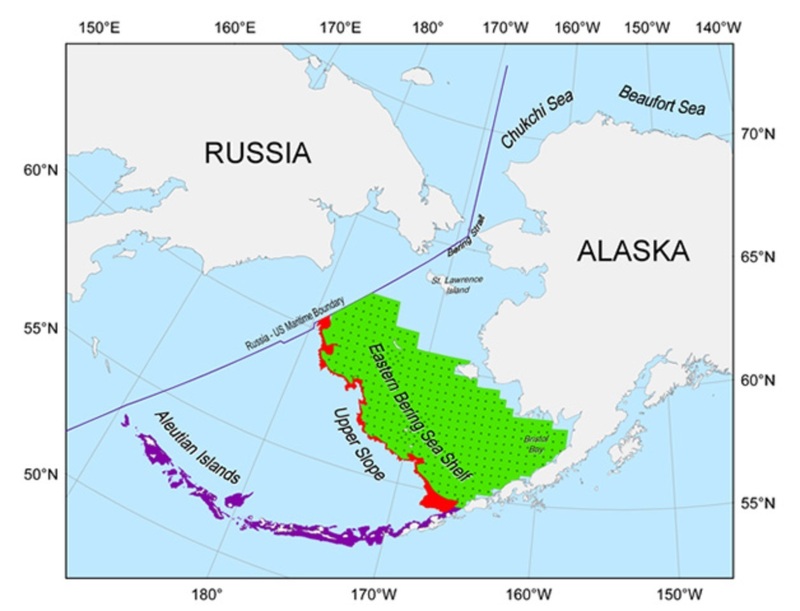 Bolstered by two consecutive strong weeks of harvests, the 19 vessels active in Alaska’s Amendment 80 fleet, as of May 5, had landed 51,465 metric tons of yellowfin sole, 6.5% more than the 48,335t caught by that date in 2017, based on data provided Undercurrent News by the National Oceanic and Atmospheric Administration’s Alaska office. This after the British Columbia, Canada-based seafood dealer Tradex warned a month ago that the harvest, 11 weeks into the year, was 16.6 million pounds behind last year’s pace. What changed to boost the harvest? Answer: Large vessels spent the beginning of the year working the rough seas around the Aleutian Islands in pursuit of Atka mackerel, a commercially more valuable fish, a top executive at one of the five Amendment 80 fishing companies explained to Undercurrent. Once those vessels used up their Season A quotas, they descended on the Bering Sea for yellowfin sole, he said. 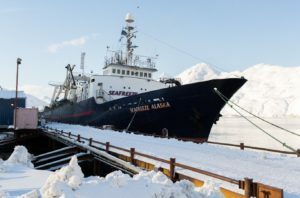 Many of these same vessels will depart again to pursue Atka mackerel on June 10 when season B starts for that fish and then later in the summer to pursue Pacific ocean perch, the top exec added. The combined quota for Atka mackerel this year is 70,000 metric tons, an 8% improvement over 2016 and more than twice what it was in 2015, but more than half of the catch remains, according to NOAA data. 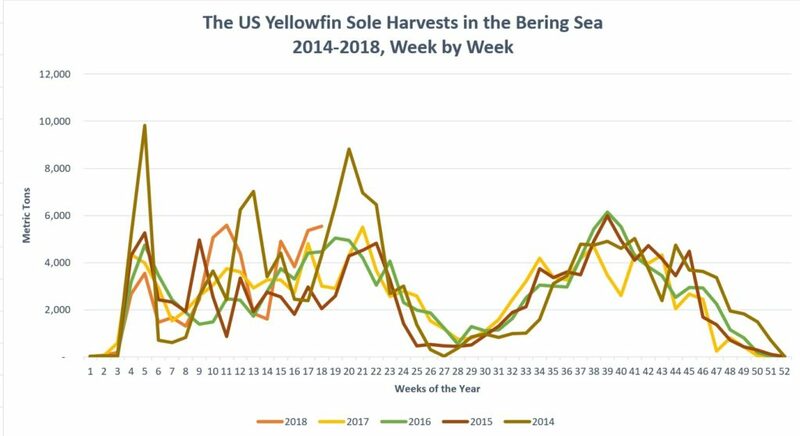 A chart created by Undercurrent using data provided by NOAA’s Alaska office shows the typical rises and drops in the state’s yellowfin sole harvest, week by week, over the course of the year. The last time the Amendment 80 fleet — named for a rule put into effect by the North Pacific Fishery Management Council in 2008 to allow catch share and better manage bycatch — had such a good start to their yellowfin sole season was 2014 when the vessels had landed 56,048t by the 18th week. They finished the year with 156,772t, still more than 40,000t below their overall total allowable catch (TAC). 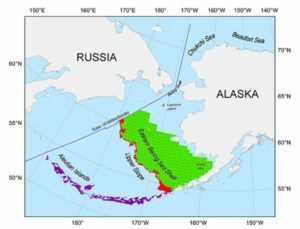 Based on what he has seen so far in 2018, Steven Whitney, the National Oceanic and Atmospheric Administration official charged with overseeing the Amendment 80 fleet in the Bering Sea and Aleutian Islands, predicts the fleet could come closer to matching its TAC (154,000t for 2018) this time. That assumes the fleet doesn’t run into the typical problem of landing too much Pacific cod, a critical incidental catch, or halibut, a common bycatch, he said. Once the harvesters hit their allotted limits for those species, they must stop fishing altogether. Source: National Oceanic and Atmospheric Administration. But it might be easier to avoid triggering that problem for at least the next two months, Whitney suggested. “In May and June, the yellowfin sole move north and generally can be caught without much cod or halibut,” he told Undercurrent. “Traditionally this timing has been determined by sea ice. But there has been little sea ice to speak of the past two years. Meanwhile, in a related action, Whitney notified yellowfin sole harvesters in the Bering Sea limited access fleet on Tuesday that he may have to soon close their fishery as they have already caught close to their combined 18,351t limit there. Though Amendment 80 vessels cannot directly harvest in this fishery, they often act as motherships for smaller catcher vessels, he said. Should the fleet live up to the NOAA official’s prediction, it will have no problem selling its supply of yellowfin sole. Demand for the fish continues to be red hot, another top seafood exec, who requested anonymity, told Undercurrent. “As fast as we can get it from the boats, it goes to the factories. It’s been pre-sold for months,” the exec said. Yellowfin sole is the smallest commercially harvested flatfish in the North Pacific, measuring 18” from end to end and weighing less than a pound at harvest, but the 132,265t of yellowfin sole landed in 2017 make it the largest by volume. That far outweighed the 35,214t of rock sole or 9,149t of flathead sole caught in the same waters. US Seafoods’ Seafreeze Alaska, one of 19 active vessels in the Amendment 80 fleet. Photo courtesy of US Seafoods. 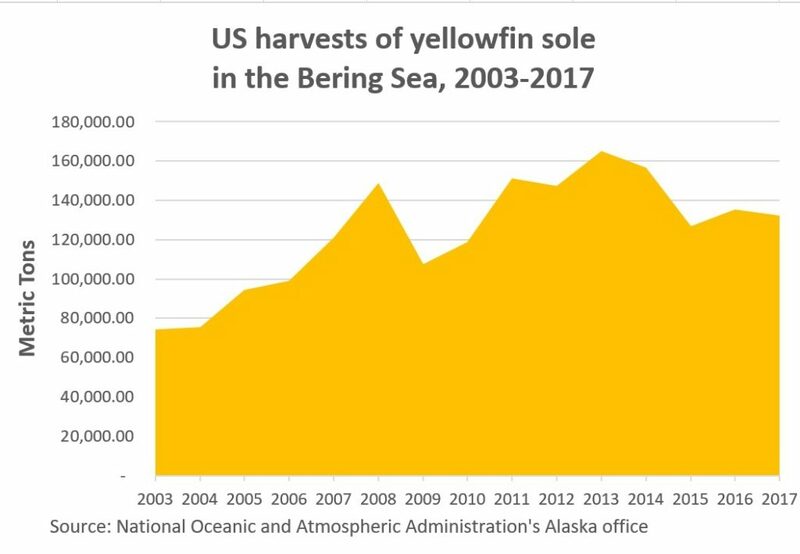 Yellowfin sole, in fact, was the third largest fish by volume caught in the Bering Sea and Aleutian Islands in 2017, behind only pollock (1,359,269t) and Pacific cod (209,697t), based on NOAA data. Though yellowfin sole’s fillet recovery is only about 25% and the fillets wind up at just 2 to 4 ounces each, the fish has its fans, including those who care about sustainability. It’s rated as a “Best Choice (green)” by Seafood Watch and the fishery has been certified by the Marine Stewardship Council since 2010. “Yellowfin sole has a firm, delicate texture with small flakes and when cooked and a mild, sweet flavor,” says Fish Choice, a website that promotes sustainably raised fish. 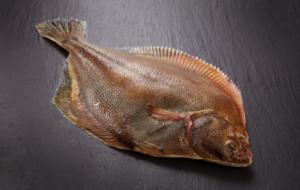 Also driving the popularity of the fish this year is that it has been sought more in Europe due to a shortage of plaice, another flatfish, said one of Undercurrent’s source. The “strong stable demand” in Europe was a positive sign Ben Fissel, an economist at NOAA’s Alaska Fisheries Science Center, said he noted when he recently interviewed top executives at three of the five Amendment 80 companies for his report on 2017, a draft of which he hopes to have done in September. He said his report on last year will reflect continued demand and increasing prices, but his predictions for 2018 will include a “huge margin of error” as much remains unknown. The demand for yellowfin has translated into higher prices. As Tradex reported a month ago, twice frozen fillets were selling for $2.50 to as much as $3.00 per lb, up roughly 60 cents from a year earlier. Those prices have held steady in recent weeks, Kyla Ganton, Tradex’s logistics and administrative coordinator as well as the producer of its Market Insight videos, told Undercurrent on Thursday. Ganton further noted that Chinese processors she’s talked to have indicated they expect to receive product soon, confirmation that the recent strong harvest is making its way to its most common destination. After its initial processing on the vessels, much of the yellowfin sole caught is exported out of the US, most of it to China for secondary processing, though some of it returns from China to the US, sources said. Because of how much the fish is shipped, its difficult to get an accurate reading from trade data. NOAA shows 51,056t of yellowfin sole being exported to China in 2017, and another 10,711t sent to South Korea, the two largest destinations. From a report compiled by the McDowell Group in May 2016. Julia Ying, the president of Dalian Meihe Foodstuff Co., Ltd., said her Bellevue, Washington-based division, Polar Bay Seafoods, bought about 2,000t of yellowfin sole from Alaskan harvesters last year and sent most of it to China for processing. She has also noticed the increase in prices and noted how the focus on Atka mackerel has affected the supply of yellowfin as well as the date when the fish typically becomes available. It used to show up in late February or early March, but now is not available until mid-April, she said. In the past there would always be inventory to start the year, but not the past three years, she said. “I don’t feel like people have a preference for any kind of whitefish, but people have gotten used to this fish and the demand is there,” she said.